Many of us have been in the following familiar situation – there’s an item you’d really like to purchase, but you just don’t have the cash on hand to do so right now. Whether it’s the latest phone for yourself or new clothes and shoes for your growing children, it’s something you’d prefer to have sooner rather than later. In the past, the only thing to do was to wait until you got the money. These days, thanks to catalogues which offer credit, you can get the things you need immediately – regardless of the current state of your bank account. 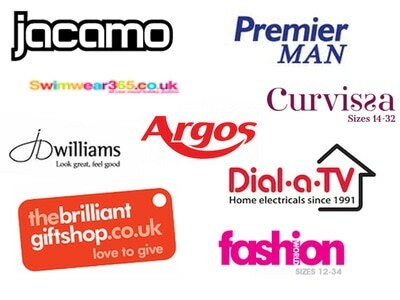 The following is a list of credit catalogues which allow you to pay for your shopping over several months or years. Some of these catalogues specialise in specific items, while others sell everything but the kitchen sink. If you are new catalogue shopping, you may find it useful to read the shopping guide further down this page. If you have a poor credit score or no credit rating, take a look at the catalogues for bad credit. One of the country’s top credit catalogues for the curvaceous woman, Curvissa offers exceptional choice to women in sizes 12-32. With over 3,000 stunning clothing items to choose from, their plus size range has all the bases covered from stylish workwear to weekend casuals. Curvissa takes pride in offering a single competitive price on all items regardless of size, and charge no premium on larger ranges. The easy to use website offers the ability to search for items by category, size, occasion or even trend, so finding inspirational fashion ideas couldn’t be simpler. The regularly updated Inspire section outlines the latest fashion trends and top looks, and helpful expert style tips and interactive tools that make putting together a beautiful outfit fun and exciting. They even have a useful ‘Shape Calculator’ that helps women to find the perfect style to flatter and fit every figure. Offering a very comprehensive selection of fashion clothing such as dresses, tops, skirts, trouser, coats, jackets, lingerie, swimwear, footwear, a huge variety of accessories and clothing for special occasions, Curvissa offers its customers a huge range of items at an affordable cost. Part of the Hughes Electrical Group with 23 years in the industry, Dial A TV offers a huge choice of top brand electricals and appliances on finance. You can choose from a range of TV’s, laptops, tablets, games consoles washing machines, cookers, freezers and more. With their flexible payment options, customers can either pay rental on a weekly or monthly basis or enter into a buy to rent scheme where they own the product after a set period of payments. 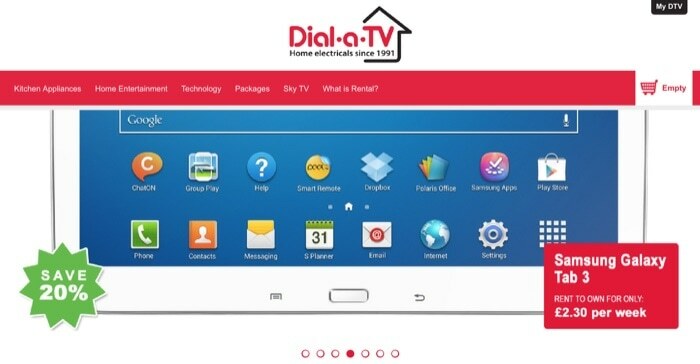 Dial a TV may be able to help if you have been declined elsewhere for credit. Their credit checks are not as stringent as some other companies listed here and so those with a poor credit history may benefit. Repair and installation fees are included in the cost, and with free delivery and excellent customer service, Dial A TV represents a great way to get finance on big name goods. Distinctive detailing is what makes Kaleidoscope stand out from other credit catalogues. With their stylish range of colourful and attractive fashion, they are truly set apart in the marketplace. From fashion to footwear, furniture to kitchenware, Kaleidoscope offers an extensive selection of everyday items that will suit everyones budget. Their excellent customer service also goes a long way towards making Kaleidoscope unique. With hassle free ordering, easy returns and fast delivery, they are the ideal choice for anyone who wants their fashion with a hint of flavour. You can open up a credit account and spread the cost of your shopping. This catalogue has a unique French flavour and everything they sell has a touch of chic French style, which makes this brand different from other credit catalogues. 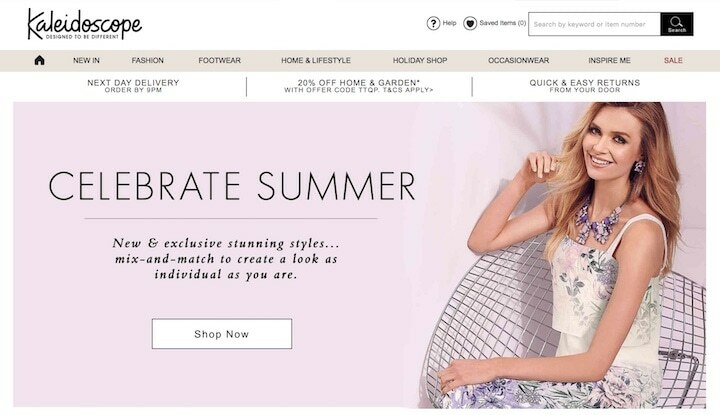 Offering a wide range of fashion clothing, La Redoute stock everything from simple plain white t shirts to exclusive items by international fashion designers. 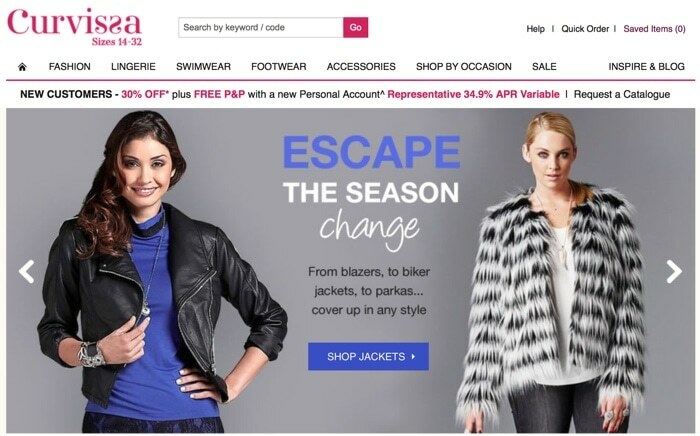 With just a few clicks, shoppers can browse a stunning range of chic clothing for all the family in a choice of ladieswear, children’s clothing and fashion for the man of the house. You can also pick up shoes, accessories, lingerie and plus size clothing. 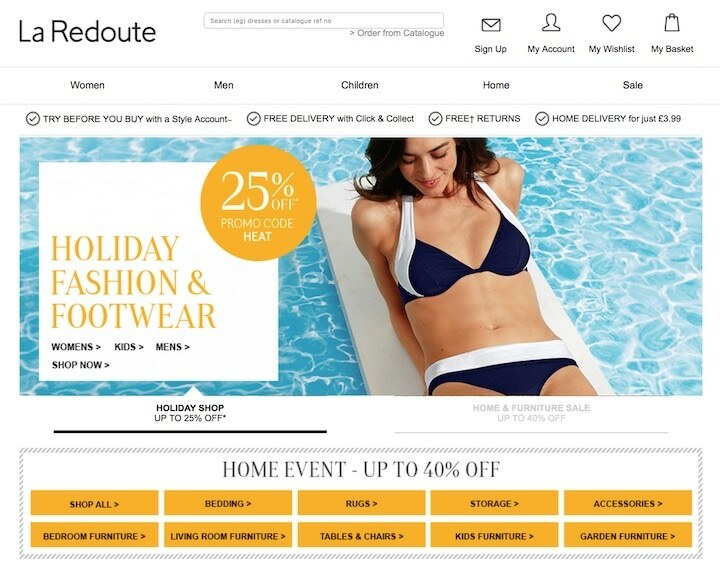 La Redoute caters for everyone who loves looking and feeling great! With brands such as Nike Tipster and Adidas, La Redoute offer a variety of items at an affordable price. There is also a great selection of homewares to bring a hint of France into the home. Visit Look Again for affordable fashion & homeware for all the family. Offering 100s of top brands you know and love, plus exclusive names you won’t find on the high street. There’s always something new at Look Again with fresh styles added every week. Get the latest looks for less with 20% off New In items for 7 days. Swimwear365 offers an exclusive range of swimwear items including, swimsuits, bikinis, tankini style items to suit a range of bodytypes. They are the UK’s largest online swimwear provider offering a wide range of items which are trendy, flattering and affordable. With hundreds of different styles available for all seasons, you can be sure to find some suitable swimwear whatever the occasion. They stock exclusive brands such as Buffalo, Lascana and S. Oliver as well as French Connection, Marie Clarie, Adidas, Converse and many more. A few years ago before the invention of the internet the only kind of home shopping catalogues available were those that were in print. Being able to browse through a glossy catalogue for items from the comfort of your own home and then having the items delivered to your doorstep was certainly a very novel idea. Fast forward a few years and with the rise of the internet, shopping catalogues today are now commonly found online. Many companies however still provide catalogues in print which can be delivered to your door upon request. 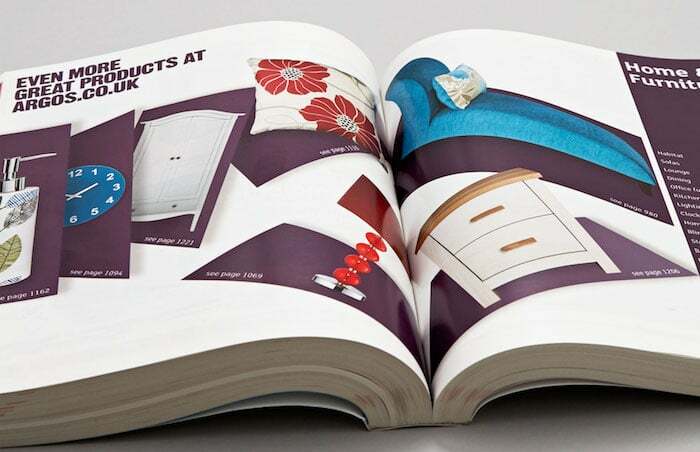 Although internet shopping has made things so much easier for millions of people, being able to hold a chunky paper catalogue and browse through the colourful pages and text provides a completely different and unique experience for the shopper. 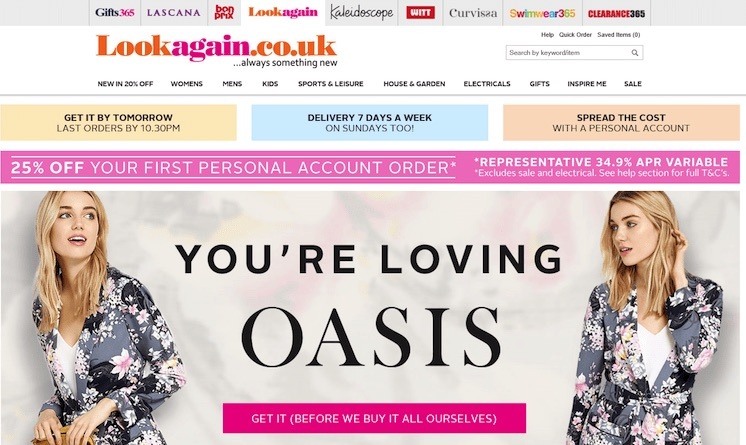 Whichever way you feel more comfortable shopping, shopping catalogues are here to stay and millions of Brits are taking advantage of the conveniences that catalogue shopping provides. Many people who are new to catalogue shopping have questions about different parts of the process. Here are some of the most common inquiries, along with some answers. CATALOGUE SHOPPING – HOW DOES IT WORK? Need to replace essential items such as a broken washing machine or your kids’ shoes? Want to splash out on a home cinema system for your living room? Shopping catalogues with credit accounts are an ideal way to get the items you want now with affordable payments. You purchase items from either a company’s website or from their paper catalogue. Simply pick your preferred items and they are delivered to your door without you having to leave your home. You can open up a credit account (sometimes known as a ‘personal account’) and spread the cost of payment using finance over a number of months or years. Not all catalogues offer a credit account, but all of the catalogues listed on this page do. Account statements are typically sent monthly, and a minimum payment must be made to keep the account in good standing. When you open a catalogue account you will be given a starting credit limit. You can purchase as many items as you want up to that amount. This limit will be determined by the company in question (as each company is different) and your personal credit rating. If your credit rating is excellent you will be provided a higher credit limit than someone with a poor credit score. Whether you are looking for clothing items, electrical appliances, consumer electronics, gifts, or items for the home, you can find it in a shopping catalogue listed on this page. If you choose to spread the cost by opening a catalogue account it will cost you more and take you longer to repay than if you pay for the items in full. Many catalogues offer payments on a pay monthly or pay weekly basis. Once you have found the items you want and are ready to checkout, you can apply for a catalogue account. You will be asked to submit some details and you will be provided a decision (usually) instantly if you have been approved and what your initial credit limit is. WHAT WILL MY APPLICATION REQUIRE? Basic personal information, such as your full name, address, and date of birth, is necessary to apply for catalogue credit. Additionally, if you have changed your address in the last six months, you may be asked to give your previous address for verification purposes. Take your time to properly fill out the application, as missed questions and incorrect information can delay your credit or make you ineligible for it. WILL I BE CREDIT CHECKED FOR A CATALOGUE ACCOUNT? Yes. All shopping catalogues will verify your identity and check your credit rating before allowing you to make purchases. Catalogue companies want to protect themselves against lending to irresponsible candidates, but more importantly, they need to be in compliance with responsible lending legislation that requires identity and credit checks. If you want to improve your chances of being accepted for finance with a catalogue, make sure you are on the Voting Register if you are not already registered. WHEN DO I FIND OUT I AM APPROVED? It depends. Some catalogue companies will let you know instantly, while others will notify you via email within a few hours. Not all applications are approved or rejected immediately. If you find yourself in the situation of being rejected for credit, you will still be able to select your purchases and make an order. An underwriter will then review your information and you should find out about your credit and order status via email within a day or two. WHAT CATALOGUE CREDIT LIMIT WILL I GET? Once your application has been approved you will be issued a starting credit limit. This amount will be the maximum that you can spend using your credit account. The credit limit amount can be anywhere between £100-£1000. Catalogue companies look at a number of different variables when determining how much credit to extend to a new applicant. 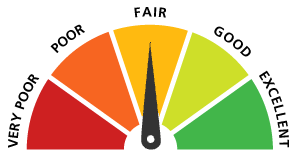 Your current credit score will be assessed, as well as other factors such as: your employment status, where you live, and whether you have any outstanding debts. Ultimately, the company wants to make sure that you will be able to make your payments in full and on time. IF I HAVE BEEN APPROVED BY ONE CATALOGUE, CAN I APPLY FOR ANOTHER? Maybe. Many catalogues work on a one-per-household policy. However, if you apply to another catalogue under the same ownership group, you may be approved. Another thing to consider is just because you can apply to others doesn’t mean you necessarily should. Every time you apply, a search is run on your credit file and recorded. Run too many searches by applying to too many catalogues, and your credit score can become negatively affected. A good rule of thumb is no more than two applications every six months. And of course, you want to make sure that you will be able to make all of your payments on time before applying to multiple catalogues. There are a few things you can do. First, make sure you are entering accurate information when you fill out your application. Incorrect information can result in a declined application, or worse — a fraud marker on your credit file. Secondly, keep the amount of your first order fairly low, say between £100 and £150. Anything more than that, and you risk being declined. Finally, if you are approved, make your payments on time to increase your line of credit for future orders. CAN I STILL APPLY IF I HAVE BAD CREDIT HISTORY? Yes. While it is not guaranteed that you will be given finance, some companies may often be willing to help. Each company has a different credit checking criteria and some are easier to be approved for than others. Click to view the recommended catalogues for bad credit. The initial line of credit extended to you may be on the low side, but by making a purchase and paying it off in full within the time allotted will help you improve your credit score and increase your credit line. If you are trying to rebuild your credit rating, it’s especially important to keep your purchase amounts manageable and not miss payments when they are due. Each month you will receive a statement which is a record of your shopping. 1). Pay for your items in full using a credit or debit card. 2). Spread the cost of your items on finance using your credit account. Using your catalogue credit account means that you can spread the payments over a certain period of time and avoid having to pay for your items in full upfront. The payment periods can be spread to cover several months or even over the course of a number years depending on the overall cost of the item you buy. You can choose to pay your bill monthly, make partial payments every week or even fortnightly (this varies according to different companies). Using a credit account means that a small interest is leveraged in each payment, which is basically how these companies make their profit. The APR rate in which interest is applied will vary, so make sure you check the terms and conditions of each catalogue to determine what options are most suitable for you. Many people love the convenience that these catalogues can bring. Home shopping credit catalogues provide you with a little more financial legroom, so to speak, especially when you’re a little short on budget. Some items are just too expensive and these pay monthly catalogues enable customers to purchase them on finance without worrying as much about the impact on their wallets. HOW MUCH WILL CATALOGUE REPAYMENTS BE? The exact amount varies from company to company, but typically the minimal monthly repayments are around 5% of the balance owed. For example, if you bought items to the value of £100, you would need to pay off £5 a month. The quicker you pay off your debt, the less you will pay in interest. If you maintain these monthly repayments on time, you could qualify for a credit limit increase allowing you to increase your spending and, in turn, increase your credit rating too. Remember to read the payment terms and conditions carefully before committing with a catalogue. WILL MY CREDIT SCORE IMPROVE USING THESE CATALOGUES? In general, yes. However, in order to improve your credit score, you need to demonstrate that you can repeatedly borrow money and then pay it back on time and in full. So, you will want to shop from a catalogue regularly (and keep your account in good standing) to rebuild your credit However, if you fall behind in payments and your account falls into delinquency, it can have negative repercussions on your credit file. When you make purchases on catalogue credit, it’s important to keep up with your payments. Making your payments late or missing them altogether can start to negatively impact your credit score. Also, keep in mind that late or missed payments will stay on your credit report for six years and can potentially impact your ability to borrow money in the future. Should you know that you will have trouble making a payment, it’s always smart to call the catalogue company and let them know. Usually it’s not a huge problem if it happens once in a while; they can often work with you to keep your account in good standing while you work through your financial issues. However, chronic late or missed payments can result in a substantially lower credit score, removal of your line of credit, late fees, or a request for payment in full. As a worst case scenario, your delinquent account can go to a debt collector, which can lead to more financial problems as well as a County Court Judgement (CCJ) to pay back what you owe. Don’t ignore the problem. Letting the non-payment build up may well increase the amount of interest you pay and can ultimately result in debt collectors becoming involved, court action and a severely damaged credit rating. Contact the company and explain. Often they can work with you to come to some sort of arrangement for repayment over a longer period, or freeze your account so that you can’t make any more purchases, just pay back what you owe. WHAT ARE THE LEGALITIES I NEED TO BE AWARE OF? The terms and conditions vary from one company to another. When you are approved for, it’s a good idea to print out a copy of the terms and conditions and APR rates. Look through them carefully so you know what to expect. HOW DO I RETURN AN ITEM I DONT LIKE? One of the reasons why people have apprehensions about online catalogue shopping is the fact that they don’t get to handle the goods and see items with their own eyes. Everyone is used to shopping with the items right there in front of them, and it can be a little nerve wracking when buying items online and wondering if they will be exactly how you imagine them to be when they arrive at your home. This is particularly true for clothing as you obviously cannot try on the items like you would do in a high street store. So, how do customers cope with this issue? The good news is that many retailers have included sizing guides to help customers decide on the right items. Let’s face it, no matter how careful a shopper may be, there will be times when items will have to be returned for one reason or another. Note that the refund and return policies of different companies vary, but most will be willing to refund or exchange the item if you are not completely satisfied with your purchase. Some companies will not pay for the shipping cost to return a product; so the advice here is to check the return policies and read the fine print carefully. If you take the time to go over the terms and conditions of each retailer they will include their refund options as well as the company’s policy on returning items that have already been sold. WHAT IF MY CATALOGUE APPLICATION IS DENIED? You should check your credit report to verify that all of your information is correct, and take measures to correct any errors you may find. Credit reports can sometimes contain errors or inaccurate information which can impact your rating. Click here for more information on your credit report. Check you are on the electoral roll and registered to vote. Many people assume they are automatically registered, but it is not always the case. Not being registered can have a big impact on your ability to get finance. Is there a County Court Judgement (CCJ) on your credit file? These will stay with your for six years, even if the debt has been repaid. Are there any defaults on your credit file? Again, these remain on your file for six years. Since some catalogue companies will not extend credit to applicants with a CCJ or a default on their credit files, you may be automatically rejected for these reasons. Do you make all of your payments on time? These include utilities, mobile phone bills, and other financial obligations. If you are not in the habit of paying your bills on time, now is the time to start. This will improve your credit rating immensely. 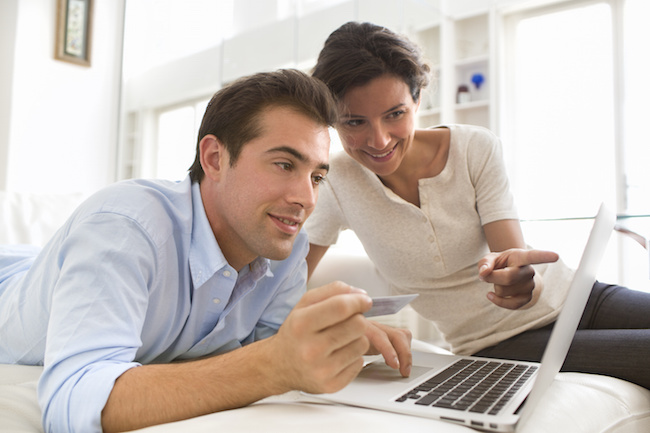 Do you have a lack of credit history? Some people believe that having no credit history is an asset, as it means that they have never had to borrow money. However, having no credit history at all can be bad when applying for any form of credit or finance as there is no record of how you handle your financial commitments. If you have no credit history but have a good income and can prove you’re responsible with money, you may be able to appeal a declined application with a catalogue company. Home shopping from a catalogue is ideal for the modern consumer. 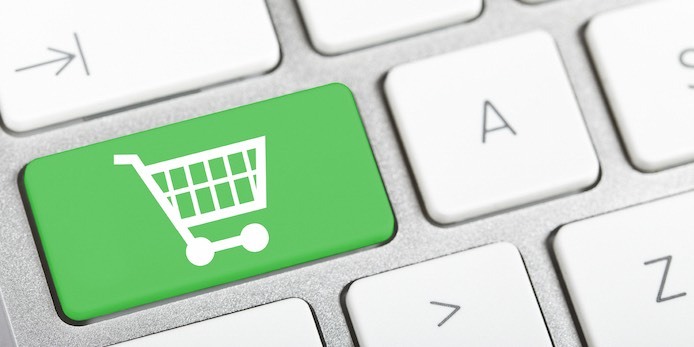 With time and finances at a premium, being able to shop online with credit catalogues with the ability to buy now and pay later has made them extremely valuable for many. Purchasing items using a pay weekly or pay monthly credit catalogue can be an easy and convenient way to get the goods you want when you want them. However, it is important to think long term before making your purchases. Just remember that you are still purchasing and spending money. Many catalogue purchases get paid back over 100 or 150 weeks (or two to three years). Will you be able to make your payments on a regular basis for the entire duration of the account? If you’re not sure, you may want to hold off on using credit catalogues for your purchases. If it seems feasible, however, you can buy what you need and enjoy all of the conveniences that catalogue shopping can afford. I been shiopping for xmas gifts 24/7. Thanks for the list of catalogues. What catalogues sell iPhone 6? I need SIM free. Some of the catalogs are rubbish. They say they approve u but then reject u later. Wtf??? Why say you been accepted but then say no. I tried with littlewoods but they are pain to deal with and not respond to my email. Why have contact when no answer???? ?